Home » Law Life » 2 Very Different Book Reviews! 2 Very Different Book Reviews! One of my goals for my winter break was to read plenty of non-school books. I absolutely love reading but don’t get much of a chance to do it during the school year. Over this past week I finished two different books: Violets of March and Brave New World. 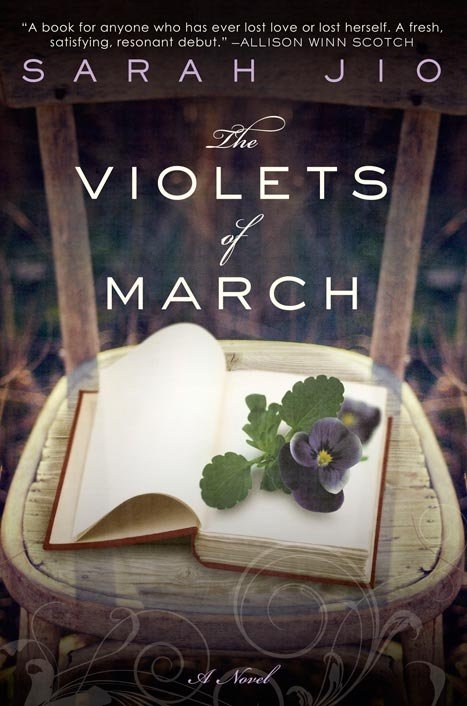 I chose to read Violets of March because it was last month’s book in Julie’s Book Club on Peanut Butter Fingers. I actually loved this book, it was a great story and easy to read. Meaning I finished it in less than 2 days! The Violets of March is about a recently divorced woman who heads back to her childhood summer spot of Bainbridge Island in WA. While staying at her aunt’s house for the month, she discovers an old diary that tells the story of a woman entangled in a tragic love story. The novel switches back and forth between Emily’s own life and love story and the story of the Diary. Soon, Emily realizes that the diary and her own life are intertwined. What I loved most about this book is that you really had no idea where it was going! Often with those quick-read romantic novels I know exactly how it’s going to end before it even begins. Not here though! The author does an amazing job of keeping the story intriguing and keeping the reader constantly guessing! I highly recommend this book because it was a bit of a mystery, but still a very fun and easy read! It’s perfect for a great vacation book, or one that you can read little by little before bed. You’ll always want to go back to it! Yesterday, I finished another novel! This one many of you may have heard of: Brave New World by Aldous Huxley. I know a lot of people probably read this in High School, but I had not so I decided it add it to my list! It took me a lot longer to get through this one, and I have to say I didn’t love it. I kept reading though because 1) I rarely quit a book and 2) I was just too stubborn! Haha I wanted to be able to say that I’d read it! Here, in one of the most important and fascinating books of his career, Aldous Huxley uses his tremendous knowledge of human relations to compare the modern-day world with his prophetic fantasy. He scrutinizes threats to humanity, such as overpopulation, propaganda, and chemical persuasion, and explains why we have found it virtually impossible to avoid them. Brave New World Revisited is a trenchant plea that humankind should educate itself for freedom before it is too late. (source). From what I gathered, society left what we know now at some point and started over in a very controlled and scientific manner. People are not naturally born, but grown in test tubes. Everyone belongs to everyone else (socially and sexually) and there are really no emotions or attachments. If you feel too much emotion other than happiness, they take a drug that makes them “happy” again. The book follows one person who comes across a boy who was raised in a “savage” community, meaning one left alone and thus similar to Native Americans. He brings this boy back to their “Brave New World” and the boy views the world in the way we probably would: they are all a bit crazy and void of any emotion. Although it was an interesting book, I didn’t really enjoy it too much. I was pretty confused most of the time and found myself skimming rather than really reading. Have any of you read Brave New World? What did you think? What’s your favorite book, or a great book you are reading now?